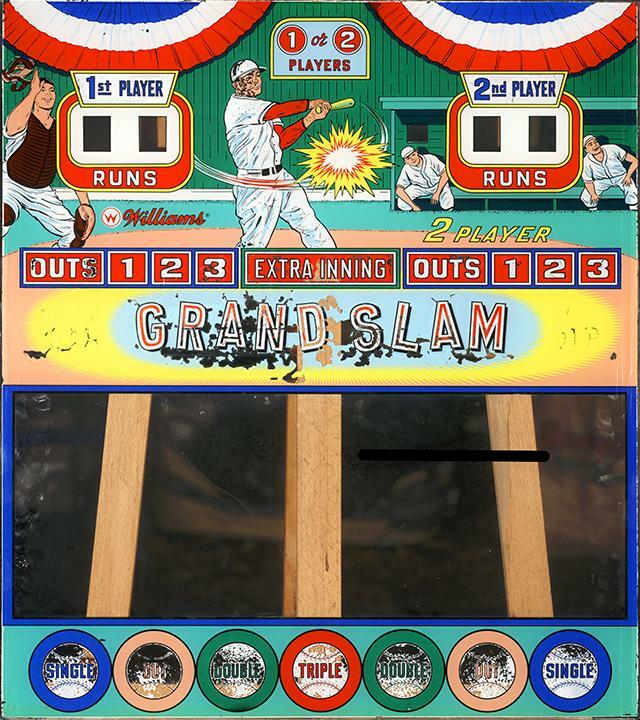 We get a lot of requests to do pitch and bat baseball game backglass restorations. 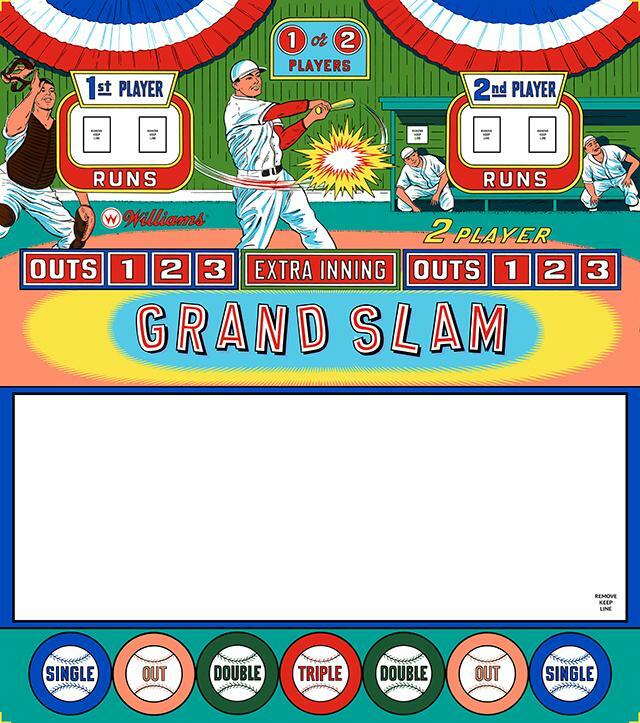 The Williams Grand Slam baseball pitch and bat came to the shop for work. Below are the before and after pictures.